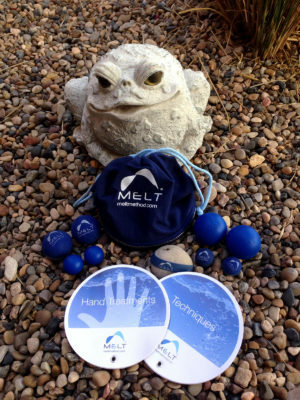 The MELT Hand and Foot Treatment is an innovative self-treatment technique that can make your whole body feel better in just minutes. Schedule a free consultation to start your self-treatment today! Dont wait for Shipping and Purchase directly from Lynn. 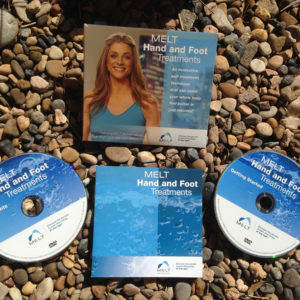 The MELT Hand & Foot Treatment Kit includes everything you need to start feeling better now: 6 MELT Treatment balls (2 of each size), 1 Bunion Reducer Band, a 60-minute DVD featuring MELT Method creator Sue Hitzmann, and an illustrated instruction guide, all in a convenient travel case. Balls and band are latex free. Includes everything you need to start feeling better now: 4 MELT treatment balls (1 of each size) and all in a convenient travel case. The balls are latex free. 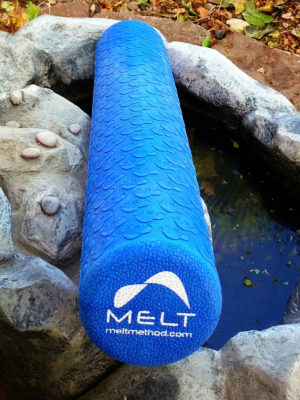 The MELT Method uses a specially designed soft body roller to simulate the results of hands-on manual therapy treatments. These techniques hydrate and lengthen connective tissue, rebalance the nervous system, promote healing and detoxification, decompress the neck and low back, improve core stability, mobilize joints, stimulate organ function, increase flexibility, and much more. is the only roller developed for the techniques of the MELT Method. 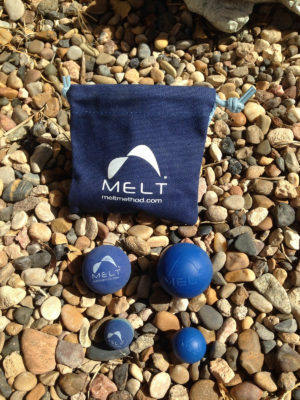 MELT gently rehydrates connective tissue, rebalances the nervous system, promotes healing, reduces inflammation, decompresses the neck and low back, improves core stability, mobilizes joints, stimulates organ function, increases flexibility, and much more. 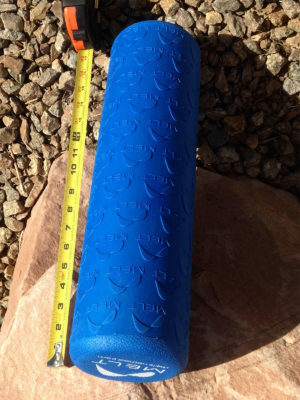 The latex-free roller is 36 inches long and 5 inches across. includes 2 discs (nearly 2 1/2 hours), and comes with an easy, customizable program so you can get started today. The enclosed Getting Started Guide gives you everything you need to begin your journey to living pain-free. Introduction to MELT: The Real Cause of Pain. 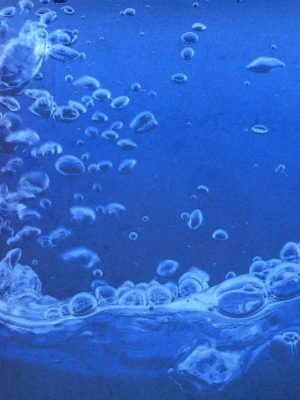 The Method of MELTing: Tools and Techniques. 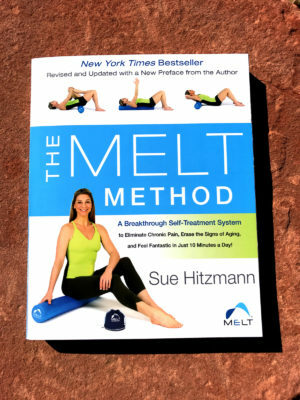 Includes 3 discs (over 4 hours), including step-by-step tutorials, 8 mix-and-match sequences, and 3 full classes that you can take with MELT creator Sue Hitzmann in the comfort of your own home. Plus a 16-page illustrated Getting Started Guide, including a Getting Started Quick Start Guide, the Getting Started Self-Treatment Plan, and Special Circumstances Self-Treatment Plans, for help making MELT part of your self-care plan when you’re healing, managing a diagnosed condition, or pregnant or postpartum. Classes can be for the roller. If you’re looking for one-on-one attention, I am a trained MELT instructor. I can guide you with focused attention as you pursue your wellness goals and address your specific issues.